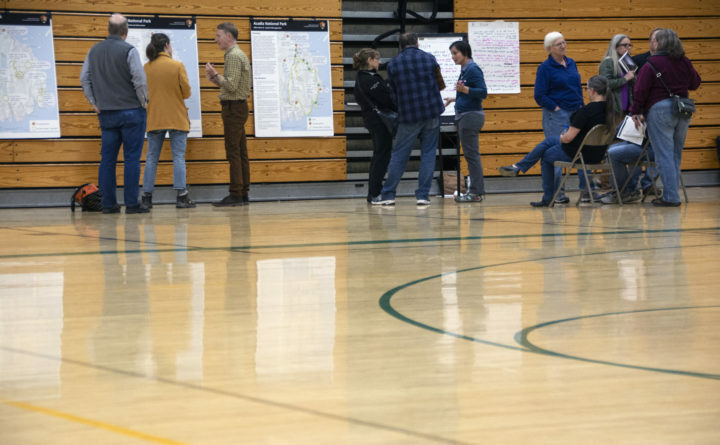 More than 100 people have weighed in on a proposed traffic plan for Acadia National Park, including 58 who attended a listening session at MDI High School on Tuesday. 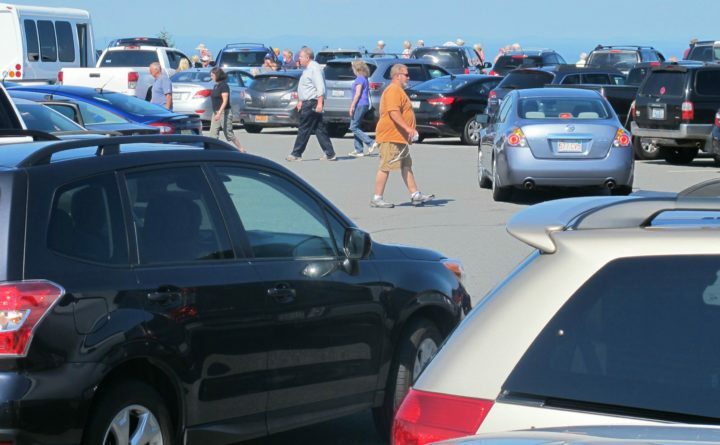 Cars and pedestrians crowd the parking lot in September 2015 at the summit of Cadillac Mountain in Acadia National Park. BAR HARBOR, Maine — As they shape their latest transportation plan, Acadia National Park officials are sorting through ideas that include a “residents only” park pass. Park spokeswoman Christy Anastasia was noncommittal on creating a pass for residents. The development of the draft proposal is in early stages. Park officials are committed to hearing all ideas about how to better manage Acadia’s visitors, she said. With park traffic having increased by 60 percent during the past decade, park officials in April unveiled their draft of a plan to ease congestion and improve visitors’ safety and quality of experience. The proposal includes a car reservation system for the park’s most popular spots. Acadia needs a new plan, and park officials have gone above and beyond to gather public opinion of the draft, according to Lauren Cosgrove, a program manager from the National Parks Conservation Association. The plan’s 60-day review period, during which people can critique the plan and present their own ideas, began on April 27. It ends June 26. As of Thursday, 97 comments were in the comments database and 58 people attended a listening session at MDI High School on Tuesday. The last listening session was scheduled for Wednesday night in Prospect Harbor. Another 108 attended three listening sessions held last week, Anastasia said. With comments yet to be analyzed for commonalities and good ideas, the final report is a long way from finished. Park officials hope to finalize their efforts this fall or winter, Anastasia said. If a residents-only pass were to be created, the first part of that creation process would be to define exactly who is considered a resident, Anastasia said. The plan can be read and comments left here.